The Heritage Singers of Jacksonville (HSJ) is a nonprofit 501(c)3 organization of gifted singers who are dedicated to experiencing and fostering a sense of community through the preparation and performance of high quality choral music. It is our goal, through both our repertoire and organizational structure, to be of the people, by the people, and for the people. The guiding word is in our very name: Heritage. Through the fostering of mutual admiration, and respect within our ranks, and the selection of repertoire that is fresh and reflective of both our common and individual heritages, the Heritage Singers is, in the very best sense of the word, a community chorus. Born in Jacksonville in 1959, Michael Dell received his Bachelor in Church Music degree from Stetson University (DeLand, FL) and a Master of Church Music degree from Southwestern Baptist Theological Seminary (Fort Worth, TX). 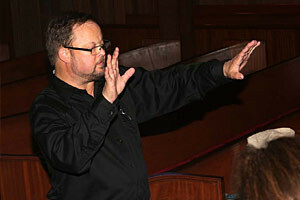 Additional studies were with Dr. Gerre Hancock at St. Thomas (Episcopal) Church in New York City, as well as numerous workshops and conferences. He has served churches in Texas, Alabama, and Florida, and has the good fortune of currently being Organist/Director of Music at South Jacksonville Presbyterian Church, the rehearsal home of the Heritage Singers of Jacksonville. As a professional accompanist, Michael greatly enjoys his work with Producer Jim Goodell’s Bella Voce Cabaret. In addition to playing piano, organ, and other keyboards, and conducting church (traditional and contemporary) and community groups, Michael enjoys teaching piano and organ, and writing both music and texts as needs and opportunities arise. He is a published hymn writer and composer of organ music, and has also composed choral compositions. He has presented recitals and appeared as organ soloist with both the Huntsville (AL) Symphony Orchestra and the Jacksonville Symphony Orchestra. Michael is the proud father of Christopher, who is attending Sewanee School of Theology, and who recently married Shannon, a very talented art teacher and fabulous addition to the family! Michael is also richly blessed with four wonderful stepchildren: Brad, Katie, Justin, and Jessica, through his marriage to his collaborative partner, Debbie. 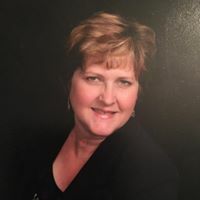 Debbie’s gregarious personality and considerable marketing and organizational skills have contributed profoundly to the Heritage Singers of Jacksonville. Melissa McCrosky, alto, is a Jacksonville native who began singing at an early age in her elementary school chorus and church youth choir. She quickly fell in love with singing the “harmony part”. Expanding her musical interests with the encouragement and support of her parents, she performed in organ recitals when she could barely reach the pedals. 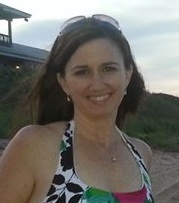 She continued her musical journey in high school, singing in the Ed White High School Mixed Chorus and Girls’ Ensemble. Since that time, she has been a constant in her church choir under the direction of various wonderful musicians who continue to inspire and foster a love of music. Melissa has enjoyed the experience of expanding her knowledge and skill of choral singing under the expert leadership of Mr. Michael Dell and the many extremely talented musicians in the group. Ms. McCrosky is a school counselor at Orange Park High School in Clay County, where she has served for the past 10 years. Her educational background includes a Master’s in Education in School Counseling and a Bachelor’s Degree in Exceptional Student Education. 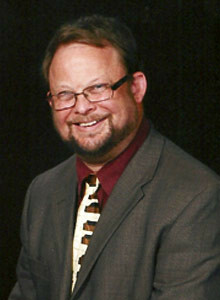 Charlie Eddins, Bass, is a graduate of Lebanon Valley College class of 1982. His degree in Music Education has led to time in the classroom and the private studio. His diverse musical skills has moved him from the New York State Chamber Choir singing Mozart and Schubert in Switzerland to Principal Trombone for the Harrisburg Community Theatre “Annie” to numerous on musical theatre roles to his church choir. In 2004 Charlie took the reigns of Renco Corporation expanding services from document scanning to complete document management. The advent of DocuLinx allows for online access to documents in any file format with world-class security, user controls and audit trails. Above all – family first – that approach applies to home, work and his Heritage Singer family as well. Charlie is the heart and soul of the Heritage Singers. He is the kind welcome, the cheerful punster when rehearsals get deep into note crunching, and the voice of calm when wisdom is required. His boundless enthusiasm and sheer love of singing warms us all. His work with the Multiple Myeloma Foundation, over the last two years, has raised this group to sing with a purpose and share our gifts in even more useful ways. 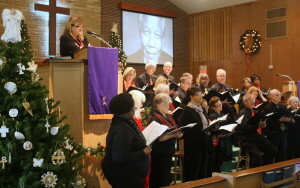 Linda Simmons Andrews sings alto and soprano in the Heritage Singers of Jacksonville. She is a retired Music Education Teacher (Clay County Public Schools, 2002) and former Director of Music of Woodlawn Presbyterian Church (1995-2010). Prior to becoming a charter member of the HSJ, she sang soprano with the Don Thompson Chorale for five years, under Michael Dell. She is a graduate of Florida A. & M. University, BS in Music Education, and Florida State University, MMEd. In addition to her musical skills, Linda is an accomplished seamstress. Deborah Dell, alto, began singing in choirs as a child and is very proud to be the founding manager of The Heritage Singers of Jacksonville. 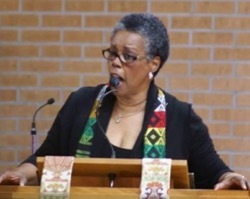 Her love for choral music was tremendously influenced by her college choral director, Dr. Charles Gaines, who organized a tour with her college choral group to sing in several cathedrals in Europe. Ms. Dell especially enjoys the exposure to the new and varied repertoire that is practiced and presented each season with The Heritage Singers of Jacksonville. Ms. Dell, a native of Jacksonville, is the owner of an estate sale management company, Sage Advice Sales, that helps with the organization and liquidation of estates which are being downsized or that have been inherited. Ms. Dell spent two decades years prior to this work as a behavior analyst working with children and adults with developmental disabilities with a focus on working with individuals with autism spectrum disorders. In addition, she employed as many as 60 people who provided in home supports for people with developmental disabilities. You can support The Heritage Singers of Jacksonville just by shopping on Amazon! It's super easy! Just visit smile.amazon.com and search for Heritage Singers of Jacksonville. Then Amazon will send a percentage of your purchase back to us! 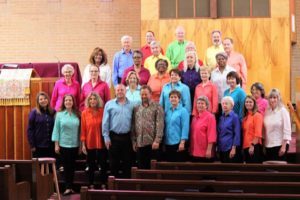 The Heritage Singers of Jacksonville (HSJ) is a nonprofit 501(c)3 organization that performs free concerts throughout the community as well as fundraising concerts for local charities. Please consider a tax-deductible donation to help offset the costs of bringing choral music to the people of North Florida.